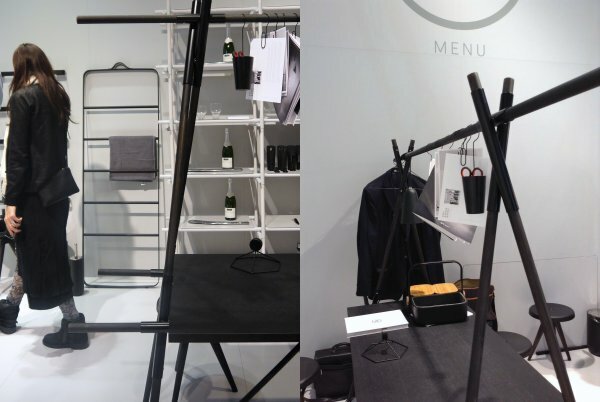 At Maison & Objet many Scandinavian Brands I got to know better during our Designtrade blogger tour this last June. 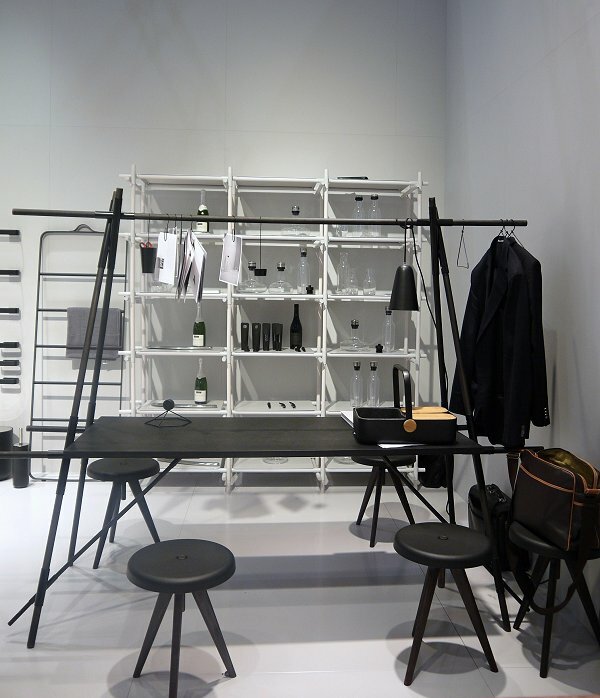 Or worked with for DesignTrade in our blogger zone were also present in Paris. It was a pleasure to meet some of them again. But as this fair is huge, the brands are very busy and I only had a few hours it was impossible to see all. 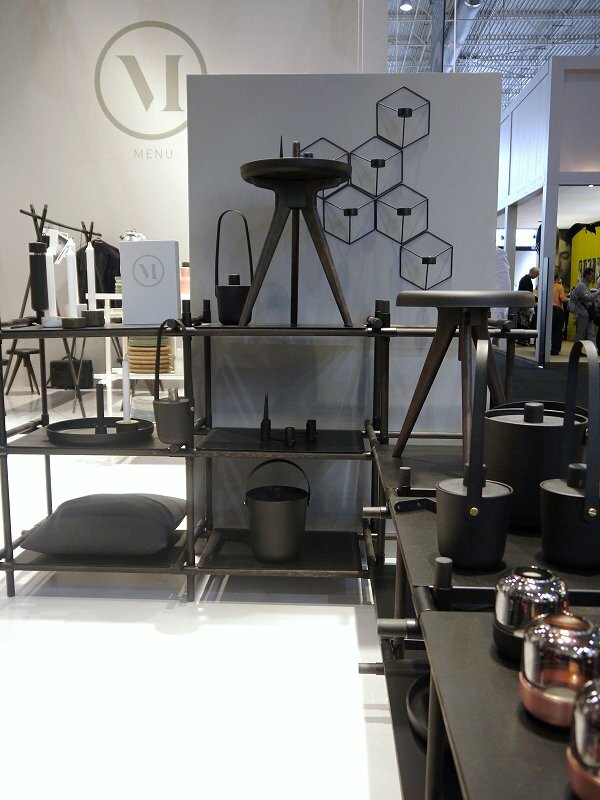 I did promised myself though to have a look at the stand of Danish brand MENU as I am totally in love with everything the do and wanted to see the Flip around table. As you might remember we were invited for a dinner at restaurant Host with them. I just got an email from Menu saying that the restaurant is the winner of the 2012/2013 Best Design Restaurant of the world Award! At the fair I also noticed the little teaser they gave of the new table designed by MENU which will soon be launched and was firstly presented here. 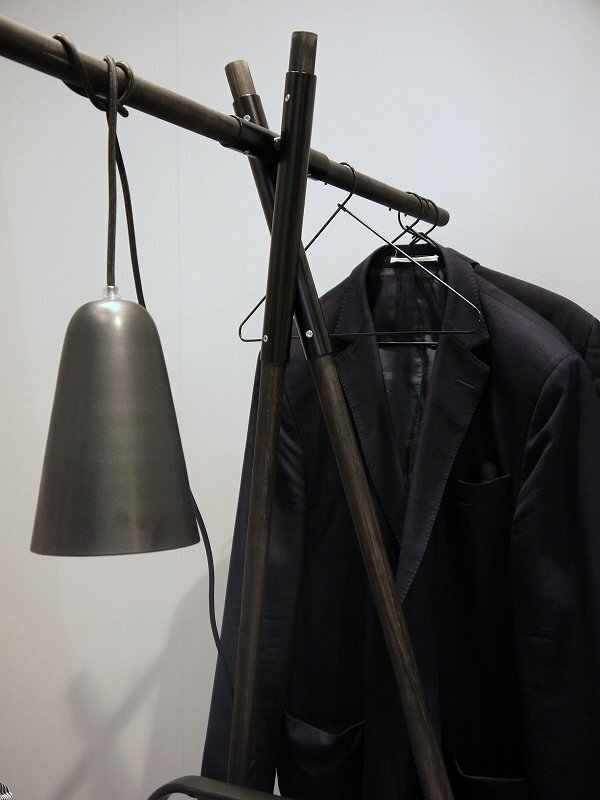 The table has nice accessories, such as this lamp. 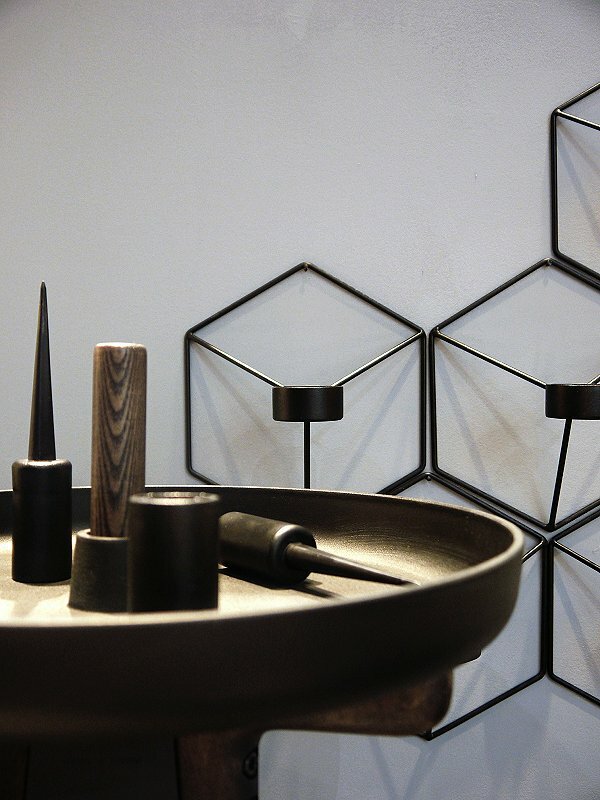 I had the pleasure to have a nice chat with Bjarne Hansen himself who told me the wonderful story behind the design. More info will be coming soon. So how do you like this new table!